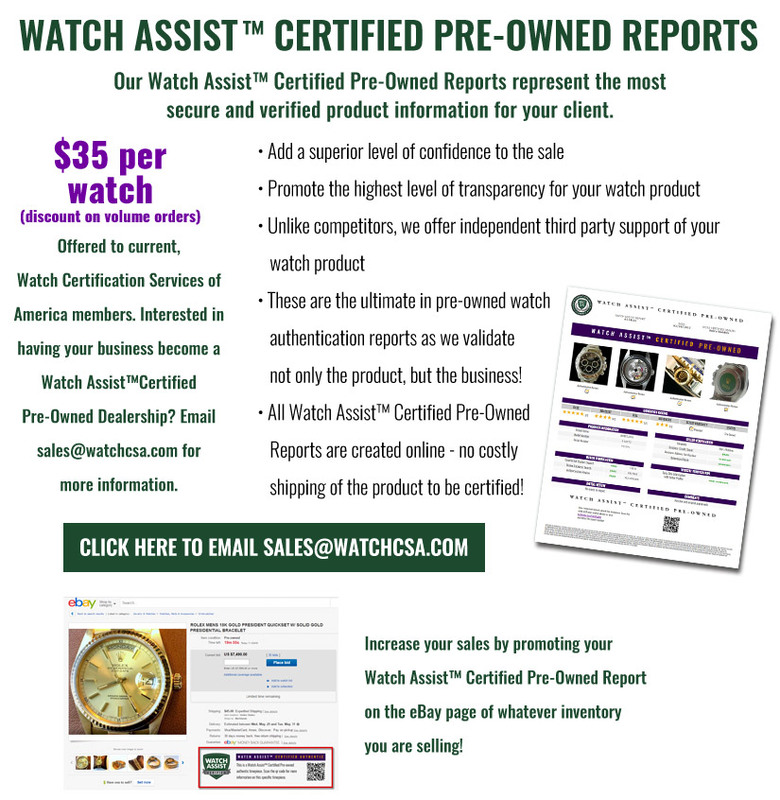 Watch CSA Watch Assist™ Certified Pre-owned Reports are the ultimate in independently produced pre-owned watch authenticity reports. Your company, if approved, will have access to having these special reports produced which are individually created and checked for accuracy; no other company does this. None.